Agile Tour Brussels is growing very quickly: the first year we had 90 participants; the second year we doubled that to 180 participants. In 2014 we welcomed 250 participants from Belgium, The Netherlands, UK and Luxembourg! We covered a lot of agile ground in 31 sessions over 6 tracks. The program page contains slides from the presentation sessions. We have an extensive photo reportage by Patrick Van Est of Oniryx. And we have a great video impression of the conference! 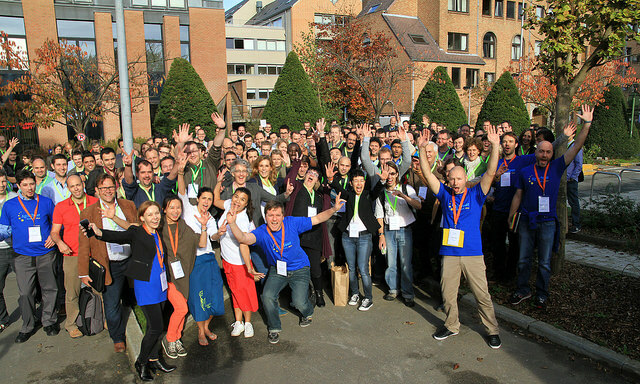 Now in its 12th year, XP Days Benelux is still the place where experienced agilists gather to exchange ideas and techniques. 160 participants spent two days discussing, working, playing and relaxing to get fresh insights and ideas, away from the day to day grindstone. The program pages contain outputs and presentations from the sessions. The feedback page contains conference feedback from participants, photos, blog entries and articles. During the conference the artists of Getekend Verslag created giant, live sketchnotes. One of the highlights was the participation of students and teachers who apply “EduScrum” in the classroom. Nicole Belilos describes the session. More of the same… and more different things. As you’d expect from an agile community, we keep improving, learning, trying new things. We’re already preparing the next events.